Thermal imaging is a technique used to view the heat bodies present in the dark. This imaging is very useful because with this imaging, one can easily see in the dark. The thermal images are not similar to the images in the visible light; they are totally different and are viewed with certain colors only. 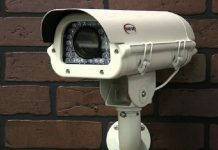 There are various types of IR-cameras used for thermal imaging. Further, many thermal imaging apps have come into existence and with these apps; one can easily capture the images in the dark region. The thermal imaging apps act similar to the thermal imaging camera and they can be used easily. The thermal imaging apps can be classified into two types: thermal imaging apps for android OS and thermal imaging apps for iOS. Android is the most common mobile OS as of now followed by Apple’s IOS platform. The android OS is effective and it can operate several useful applications at less cost. 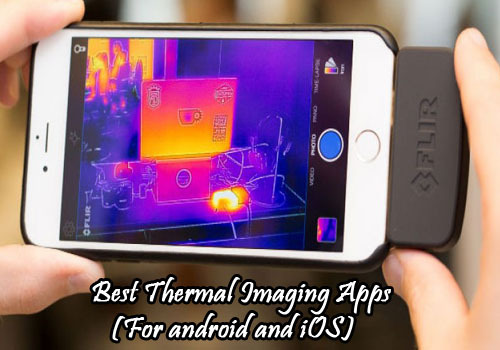 There are many types of android OS compatible apps available in the Google play store, the top rated free android thermal imaging apps are listed below. This is a real time android app that can capture the images effectively by stimulating the IR-camera. With this app, the user can have a fun time in the dark. The image obtained by this app is of high quality and hence this app ranks high in the ratings. This app is suitable for the android mobiles that have inbuilt IR sensor. This app will not function in the mobiles without built-in sensors. Seek thermal is also an android thermal imaging app that works along with the sleek infra-red camera. This camera can be fitted easily in almost all the android devices and hence, it can be used effectively. This app offers higher resolution images within very less time. This camera can be used both in light and dark so that the images within the light and dark regions get trapped immediately. You can use this app for hunting, outdoor tours etc. Seek XR Thermal Imager is a thermal device used to convert mobile phones into thermal imaging camera. This XR thermal imager will do all the tasks and has thermal imaging technology, the same as Seek compact thermal cameras. This easy and intuitive add on for smartphones is the best option to budget buyers who are looking for an alternative for the expensive thermal cameras around. Range: Seek XR Thermal Camera captures images from up to 1,800 feet away which is supreme to other thermal imagers. Size: Seek XR thermal camera is very sleek and compact, it is highly portable and adds no extra weight to your mobile phone. Temperature Range: The temperature range of this Seek imager is extreme and between -40°F and 626°F. Thermal Sensor Resolution: The thermal sensor resolution of this XR thermal imager is 206×156 which is high when compared with other mobile phone thermal imagers. Power: Seek XR thermal camera does not need any external power supply or battery as they can be powered by the attached smartphone itself. Limitation: This Seek XR thermal imager lacks in having a visible light digital camera. This is also one of the useful and important thermal camera apps that can record pictures and videos in dark and dim conditions. This camera app is effective and it also supports camera flash. This is a real-time application that can record and store the recorded images and videos effectively. This app is widely used along with the thermal camera. iPhones are operated with the help of iOS and they require specially designed thermal imaging apps. The thermal imaging apps specially designed for iPhones are given below. 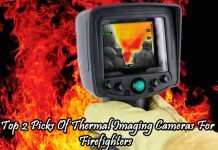 The top rated thermal imaging app for iPhone is Seek thermal app. This app is used along with seeking thermal imaging device. This app enables the user to view the captured image using seek thermal camera. 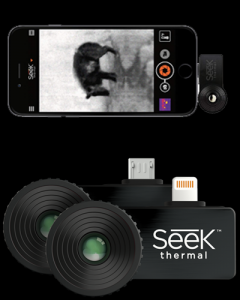 It is very easy to operate the Seek thermal camera and app. The thermal image obtained with the help of this app has high resolution. This app can be used both in day and night times. True night vision is also a thermal detector app that can be used effectively for determining the objects in the dark light. This app generally triggers the IR sensor placed within the camera and enables the user to view all the heat bodies in the night time. This app is specially designed for iPhones and it produces high-resolution images. These are the top rated mobile apps for thermal imaging. 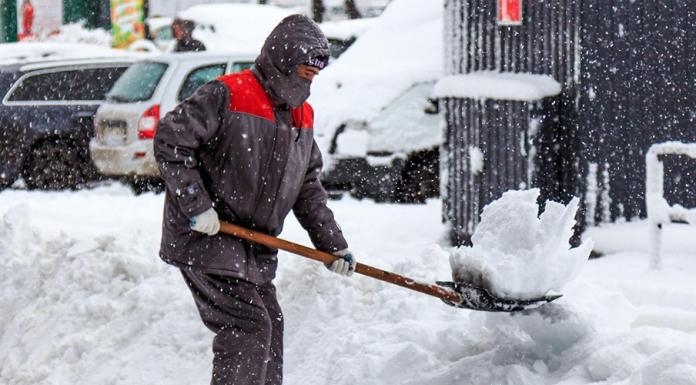 If you feel this article is useful share it with your friends on social networking sites.